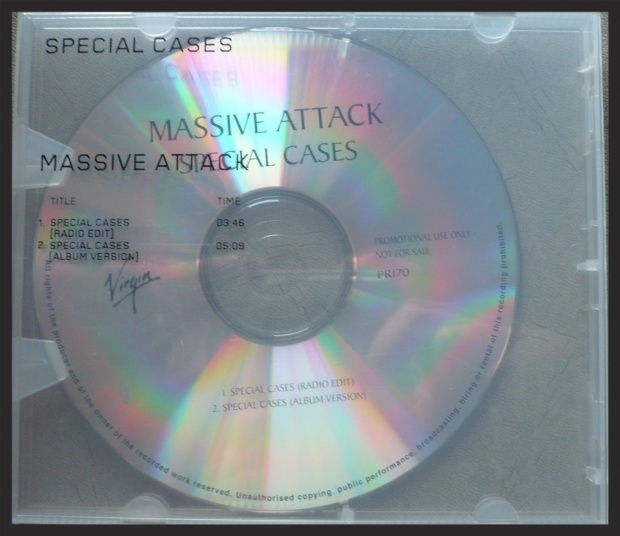 Notes: This was the first Massive Attack single to be released on an enhanced CD, as the fourth track (Video Version 2 AKA the Girl Version) is video data that can only be played on a computer. 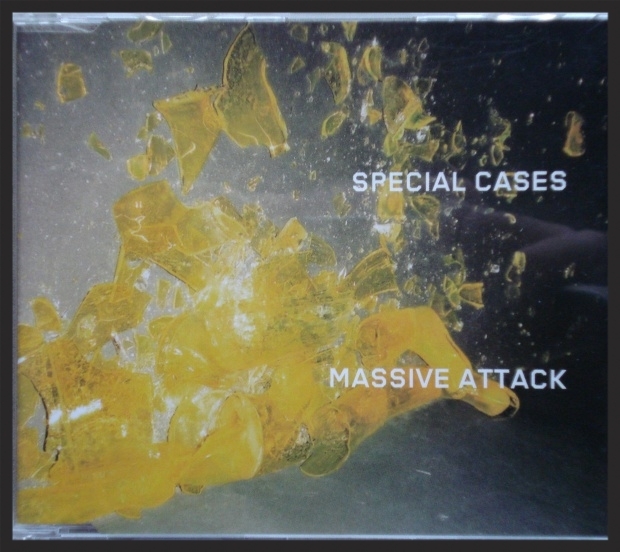 This is also the only retail single release from Massive Attack which omits the album version of the song in question. 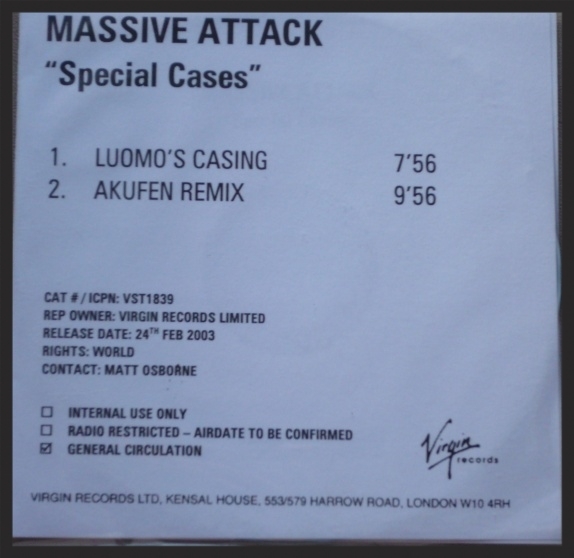 This release only contains the Radio Edit. 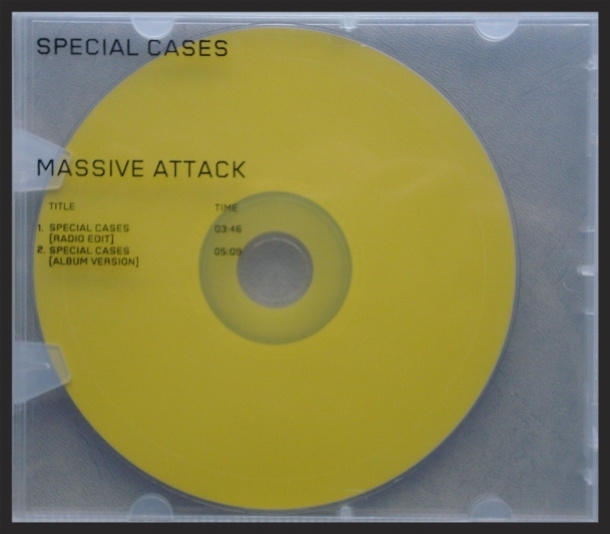 The colour of the disc is bright yellow with no title information on it beside basic copyright information. 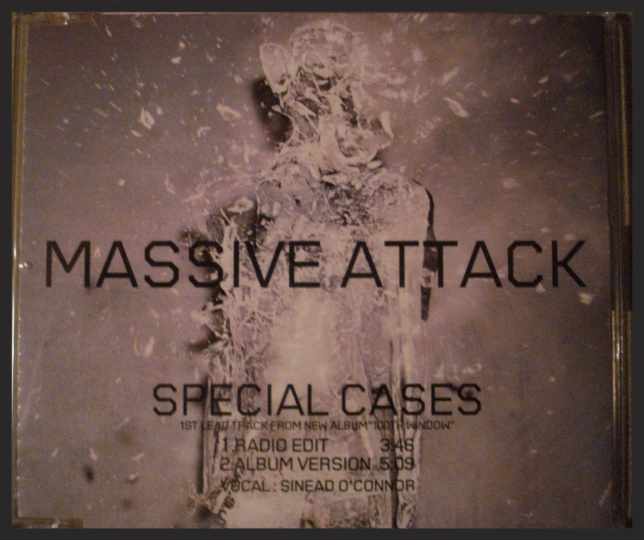 Notes: In another first for Massive Attack, this was their first DVD single release. their next DVD single would not be until Live With Me's release. 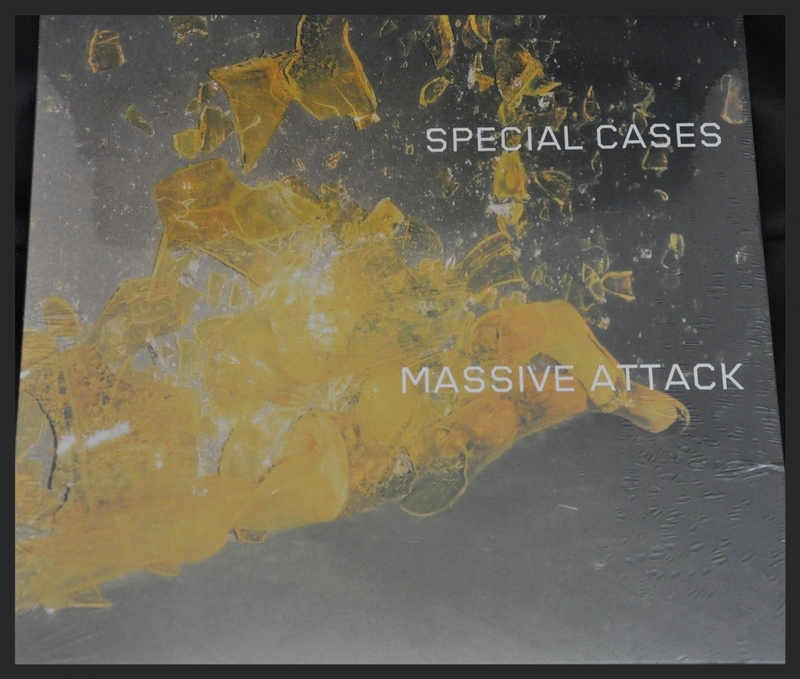 Video Version 1 is the Boy Version of the Special Cases promo video, while the remaining tracks are of a repeating video loop of the shattering glass man footage. 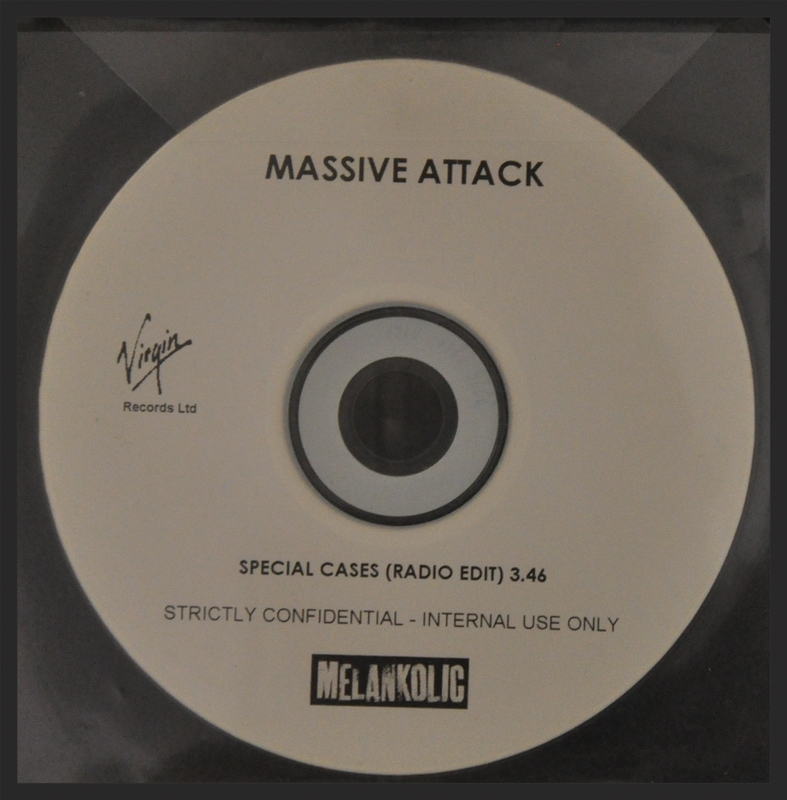 Notes: The colour of the disc is bright yellow with no title information on it beside basic copyright information. 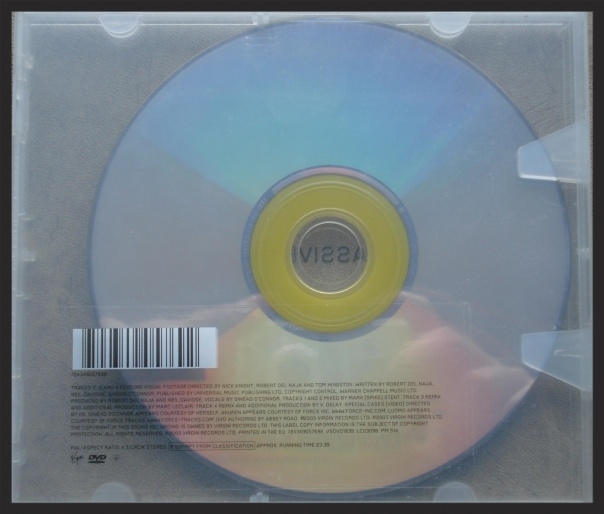 Notes: The colour of the disc is bright yellow with no title information on it beside basic copyright information. The disc itself contains copy control protection. 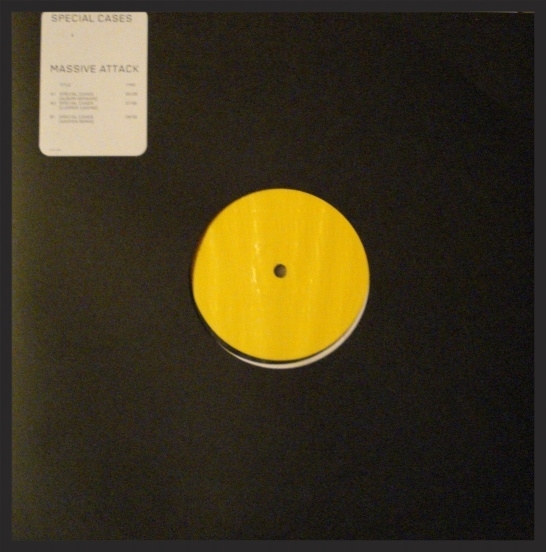 Notes: Standard vinyl with a inner groove which is printed in a bright yellow label. The disc has no title information on it beside basic copyright information. 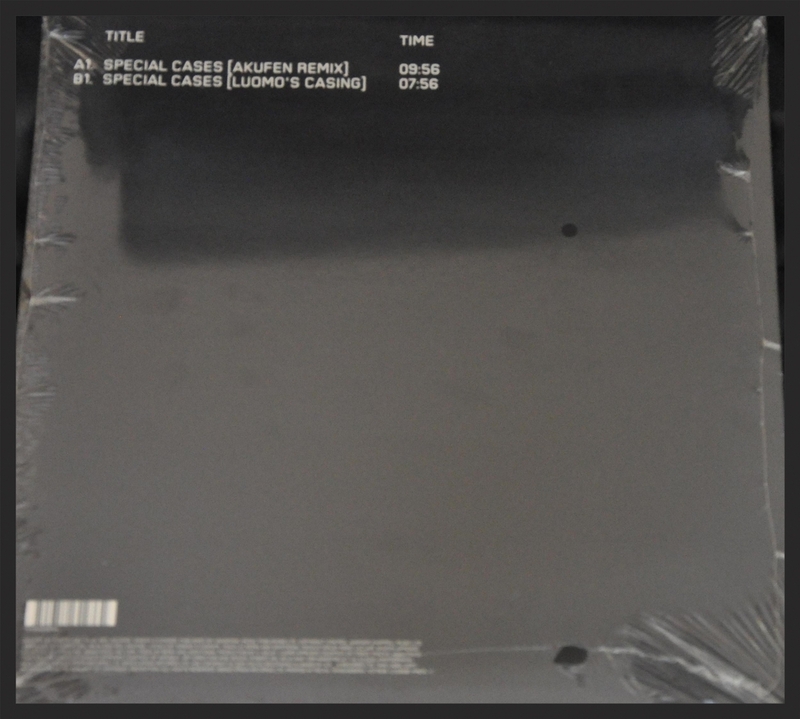 There is a discrepancy on the sleeve's spine regarding the catalogue number. The correct number is displayed above. 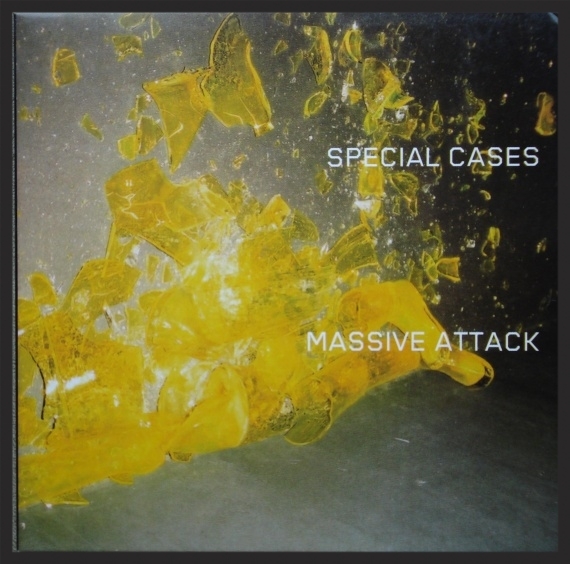 Notes: Some of these promos were mispressed with the reverse tracklist on the front cover. 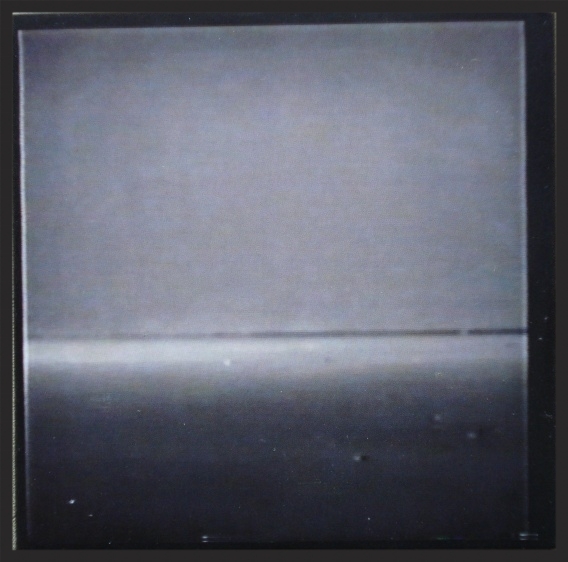 The disc has no title information on it beside basic copyright information. 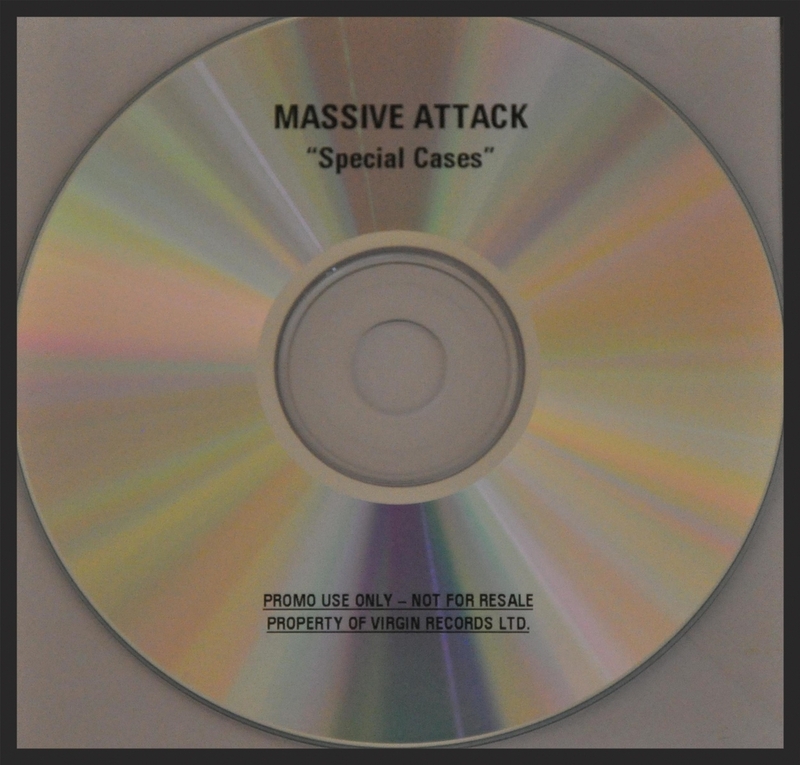 Notes: Unlike most of the other versions of Special Cases this disc actually contains full title and tracklist info on it. 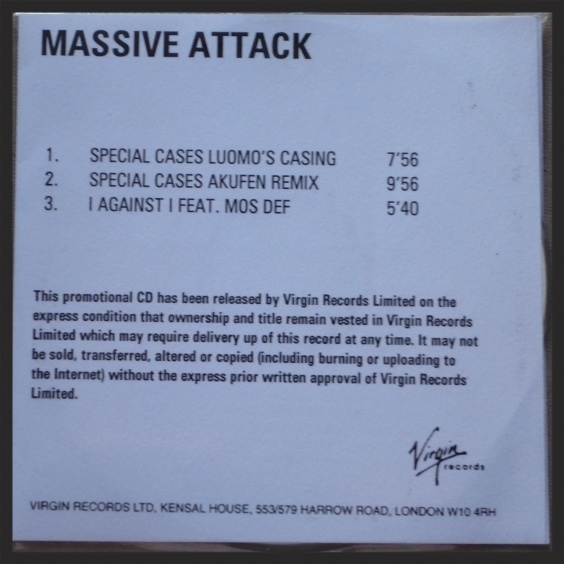 Notes: One of the few Massive Attack promos to also bear the Melankolic record label. Notes: This videotape promo was issued by Ascent Media as a VHS tape using the PAL format. 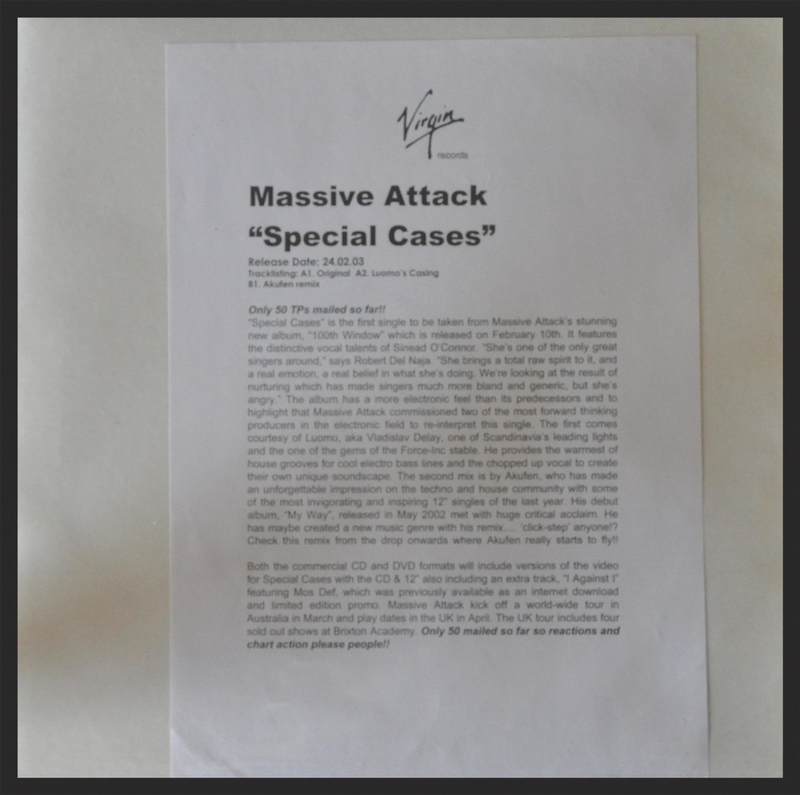 It features Version 1 (Boy Version) of the Special Cases promo video. Notes: Standard vinyl with a inner groove which is printed in a bright yellow label. The disc has no title information on it beside basic copyright information. 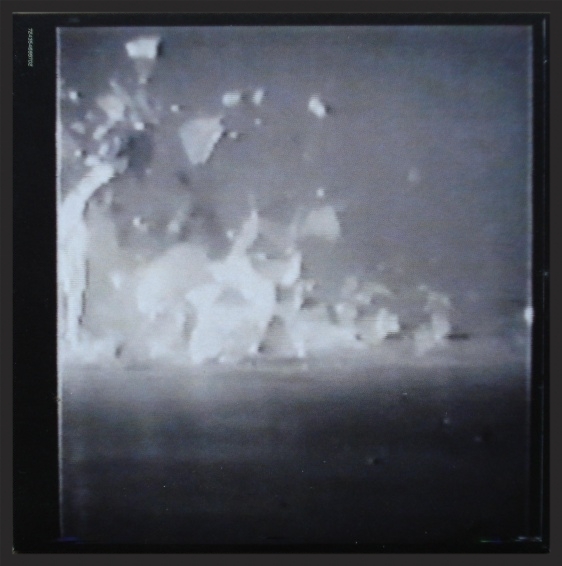 Notes: The accompanying press release for this test-pressing/acetate vinyl states that there was only 50 copies produced.